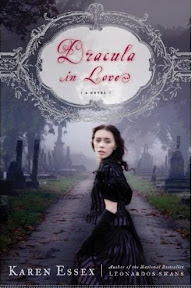 The Sunday Salon [11.14.10] – my books. my life. After a miserable week of rather severe neck pain, I am finally feeling better. I have no idea what (if any) of the hundred different remedies I tried worked but at this point, I’m just happy to be able to move again. I even welcomed my usual back pain (mysteriously absent this week) today when I woke up because it seems to be a sign that things are going back to normal. Thank you to everyone who let me vent and cheered me up on Twitter (book bloggers are kind of amazing) and I promise happier tweets this week. All of this made it pretty much impossible to get any reading in this week. I simply couldn’t focus on anything. I was, for the most part, confined to watching endless hours of Gilmore Girls every evening. But, now that I’m feeling better, I’m ready to reach my new 80 books in 2010 goal (just finished #71). Previous Article Is it EVER okay to ban books? I woke up with terrible neck pain one morning this week; it lasted 2 days by Aleve helped. I think I just slept weird? Hope that does not reoccur for you. Ooh, I haven’t even heard of your upcoming audio. I can’t wait for you to get to it so you can tell me more. Also, so glad you’re feeling better! Hopefully no crying this week. I’ve been trying to make my audio time heavier on the nonfiction and I found this on a list of the top nonfiction books for the year. I’ll let you know how it is. Neck pain is awful. 😦 I’m glad you’re starting to feel better! Oh, I can completely relate to the neck pain…I am felled by it occasionally myself. Lying down on my heating pad usually helps. 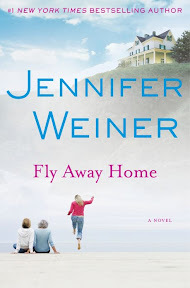 I loved Fly Away Home (and anything by this author), so I hope you enjoy it. 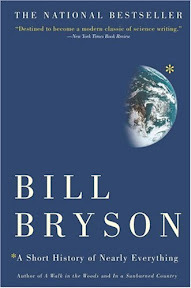 I’m curious to hear how you liked the Bill Bryson.. I’ve had it for years but never read it. I am glad your neck is feeling better! But sorry that your backpain has returned. It would have been wonderful if both had just disappeared, wouldn’t it? And Gilmore Girls! You’re one of those bloggers that I know I can always turn to when I need to vent about my obsession with the series..
And since you asked, I’m reading What My Best Friend Did. Next up is The Sherlockian, which I got at BEA. Oh, I had terrible neck pain this week too! I just couldn’t seem to get rid of it or the headache it caused. And then my doctor friends all began making helpful/terrifying suggestions like, “You know it might be viral meningitis.” Boo. Luckily, it passed. I hope yours has too! The Gilmore Girls is HIGHLY addictive. I think I devoured the whole series in a single month. So sorry to hear about your physical woes, pain stinks. Hope this week is painless. 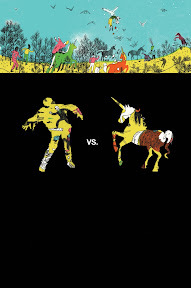 I am currently reading Hotel on the Corner of Bitter and Sweet by Jamie Ford. It is great. If you have not read it, I highly recommend it!! I hope you have a much happier week this week! Gilmore Girls is the perfect comfort show – especially the earlier seasons.